Meetings Photos from our regular monthly meetings. Swapmeets Photos from some of our swapmeets. Tech Talks A look at some interesting moments from our meeting presentations. 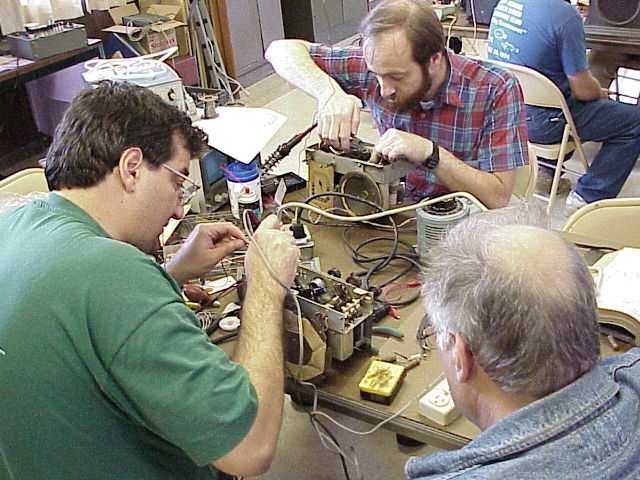 Restoration Clinics See what goes on during our all-day repair seminars. Other Club Activities Other radio-related activities involving our members. The David Sarnoff Library Museum A short (and as-yet un-annotated) photo tour of some of the extraordinary artifacts on display at our host location. 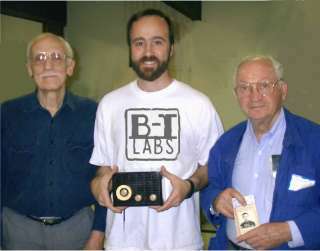 Sal Brisindi shows off his Blonder-Tongue Labs T-shirt flanked by club members Ben Tongue and Ike Blonder, founders of Blonder-Tongue Labs. Hey Sal, where can I get one of those shirts? 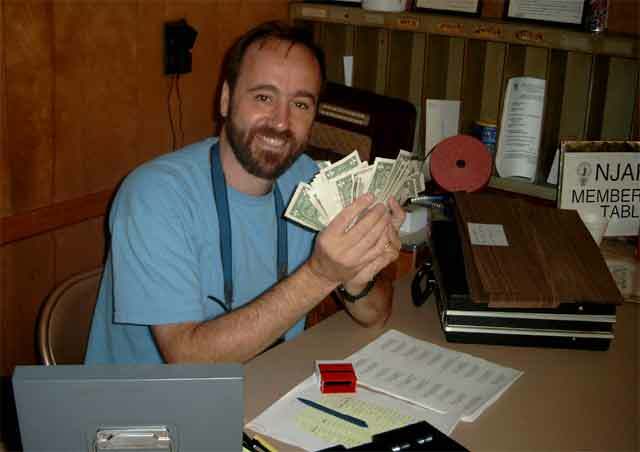 Club Treasurer Sal Brisindi collecting admission at the July Swapmeet. 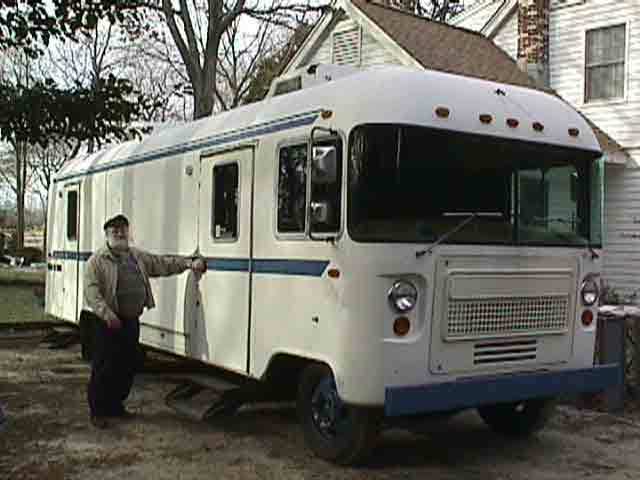 This is the last know photo of Sal before he changed his address to the Cayman Islands. 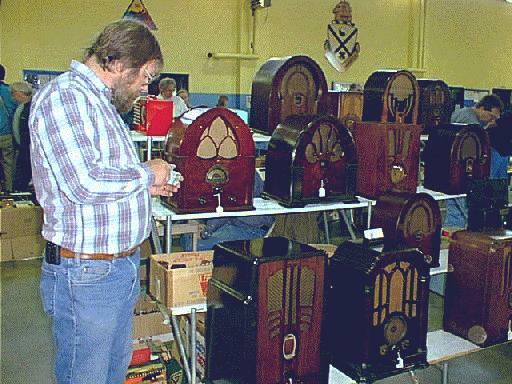 NJARC member Al Klase checks out the radios for sale at one of our swap meets. Here's a page of photos from our most recent restoration workshop. A page of photos from a restoration workshop. Relaxed atmosphere at the picnic before the auction frenzy. 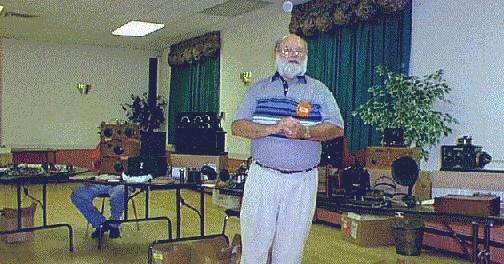 NJARC Tech Coordinator Al Klase supervises the fine tuning of what is probably the largest radio in New Jersey. The tuning experts are club members John Ruccolo and Gary D'Amico. One of two cottages off of Marconi Road at INFOAGE (Camp Evans). This cottage has been handed over to NJARC until the rest of Camp Evans is made available to INFOAGE. 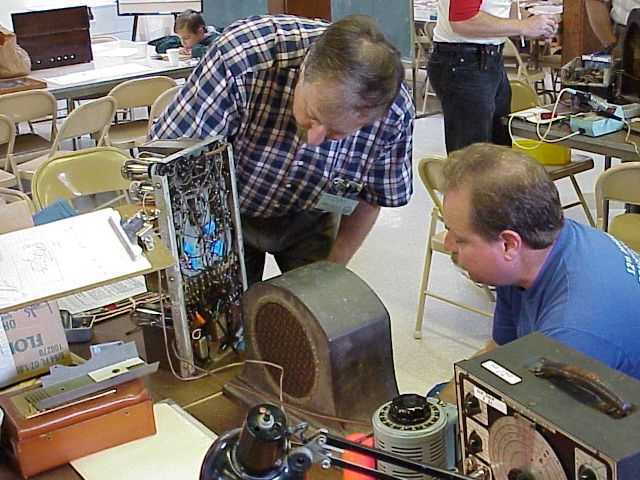 AWA and NJARC Member John Dilks presents a program on "Amateur Radio History" to the South Jersey Radio Association at their meeting in Pennsauken, NJ.